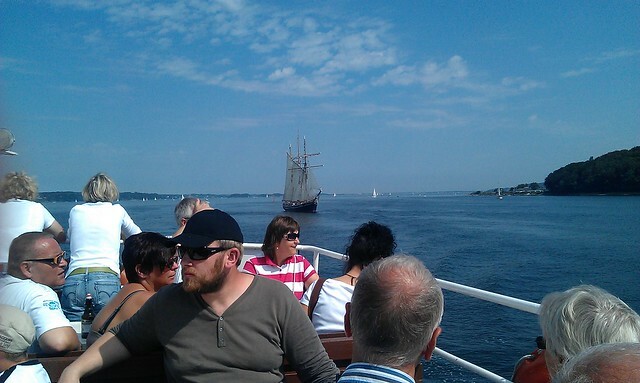 Sonderborg lies in a region of islands and fjords. Water is a dominant feature of the area, making travelling by boat a realistic and practical, not to mention pleasurable, proposition. A pleasant ferry ride in the region that is less about the transport and more about the pleasure goes from Flensburg to Glucksburg. 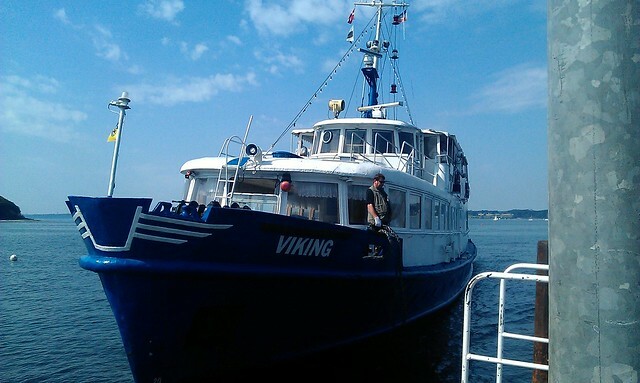 The ferry M/S Viking, leaves from the Flensburg pier and arrives in Glucksburg, close to the Strandhotel. From there you can decide to either laze on the beach or walk up to the castle, around 20-30 minutes away. On the way from Flensburg to Glucksburg the ferry takes you around the ‘Okse’ islands, close to the Danish side of the fjord while the way back is along the German side of the fjord. I have only done the Glucksburg-Flensburg part of the trip, following a visit to Glucksburg castle, but look forward to doing the Danish side of the trip! The ferry ride costs 6€ one way/9€ for a return trip. You can also take your bike along to explore the area around the fjord for 3€. Tickets are simply bought on the boat so don’t worry about finding a ticket booth before hand. 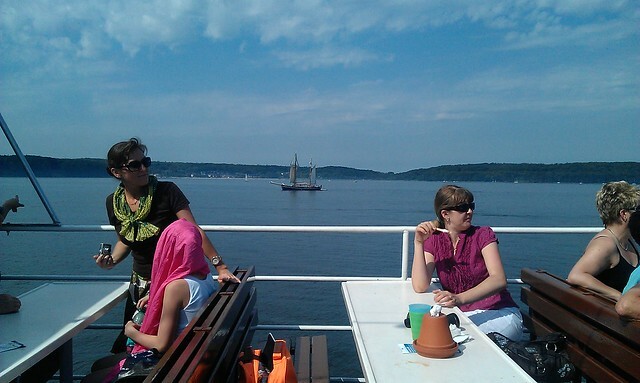 This entry was posted in Trips Out of Town and tagged boat, flensburg, Germany, glucksburg, water, waterfront by Ann. Bookmark the permalink.